When your grandson is an grammy-award winning rapper, sometimes the impossible doesn’t seem that far fetched…. …And for Helen Schott, the grandmother of Macklemore, celebrating your 100th birthday can mean living live to the fullest. Earlier this week the rapper released a brand new song “Glorious” with a music video to accompany it. 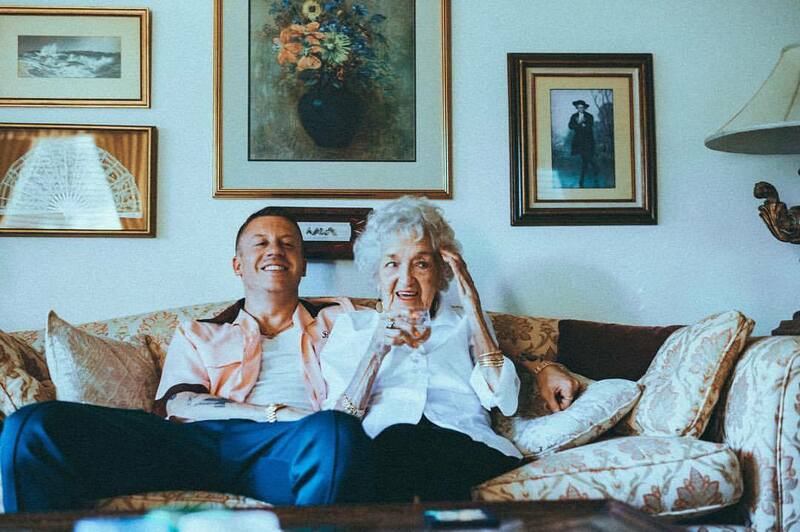 Inside the video Macklemore surprises his grandmother and takes her on a journey of a lifetime. “What’re you doing here, honey?” Schott asks at the beginning of the video. “Today, we’re going to do whatever you want to do,” Macklemore replies. “Oh God, I want to do it all,” she replied. And do it all is what they did. Schott rode around in a gold Dorado convertible, egged houses, sang karaoke, played Skee-Ball and enjoyed the antics of a male stripper at a party with some friends. The video is one of the ages. Something that shows the good side of life. Give it a watch below, and remember to celebrate your loved ones accomplishments.